Although they last the longest compared to other types of birth control, intrauterine devices are the most expensive form of preventative contraception. If you’re uninsured, the device and inspection procedure costs approximately $900 on average. However, that number fluctuates depending on where you live in the United States. 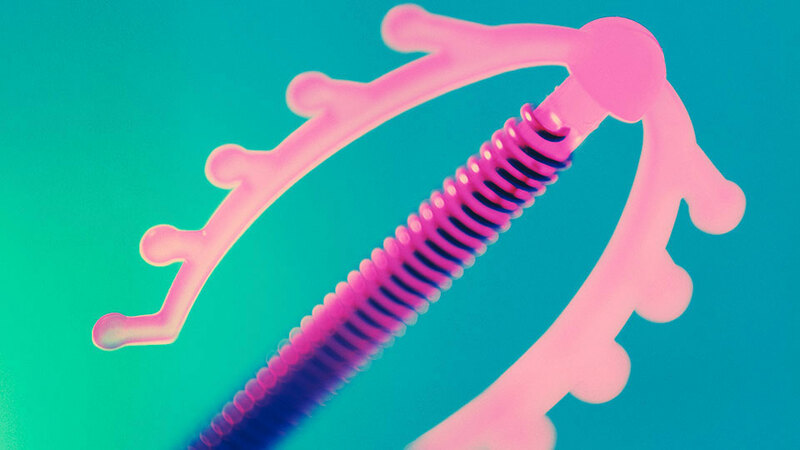 According to Time, IUDs are likely to get even more expensive. Health care data explains the average price of the IUD could increase to $1,000. Again, the cost varies based upon location within the country. This isn’t a coincidence, either. Corporations are behind the effort to keep IUDs out of reach for those who need them most. Salon explains monopoly pricing prevents people from accessing IUDs since the devices cost less than a dollar to actually make. Although condoms are accessible and free in certain spaces, such as health centers and educational institutions, they aren’t as effective in preventing pregnancy. The American Pregnancy Association explains that penile condoms have a failure rate of about 18 percent. (Even the pill has a failure rate of 9 percent.) Meanwhile, the IUD has a 0.8 percent failure rate, making it the most successful form of birth control in preventing unplanned pregnancies. However, while IUDs are the most successful, they are the most expensive and difficult to obtain, which makes the rising cost a public health problem. There are also other benefits to contraception other than just its primary purpose of preventing pregnancy. For instance, Metro says a recent study revealed IUDs can help reduce the risk of cervical cancer by 33 percent. The inflammatory reaction produced by the T-shaped device to prevent sperm from attaching to eggs can potentially boost a person’s immune system; the same reaction can potentially help ward off dangerous infections, such as HPV. Plus, all health care, not just reproductive health care, is becoming even more difficult to obtain under the Trump administration. For instance, the ACA’s open enrollment period was cut in half. Americans only have until December 15th to apply for health insurance. Additionally, Reuters reports health care advertising has been cut by 90 percent, which decreases consumer awareness of important health insurance information. If there are more restrictions on obtaining health insurance, the IUD becomes more out of reach. The political climate emphasizes the need for accessible health for all.